Launched with the aim to redefine what a smartphone can do, Samsung Galaxy S7 Edge transformed the way people created and shared memories. The curved edges of the smartphone make it perfectly fit in your hand for one-hand operation. Samsung Galaxy S7 Edge is powered by Octa-core (4x2.3GHz + 4x1.6GHz) processor backed by 4GB of RAM for great performance. The smartphone packs 32GB internal storage, which is expandable up to 200GB using a microSD card. Able to take amazingly beautiful pictures, Samsung Galaxy S7 Edge is provided with a 12MP primary camera and 5MP front-facing camera. Its 5.5-inch display facilitates watching your favourite videos with ease. This Galaxy device by Samsung runs Android 6.0 out of the box and is powered by 3600 mAh battery that keeps the phone functional for an entire day. Besides, you are provided with Samsung’s Quick Charge 2.0 technology. As Samsung Galaxy S9 and other flagship phones are available in the market and are doing pretty well, you may want to sell old mobile for instant cash. 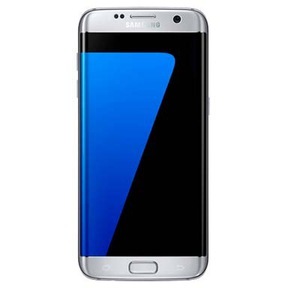 Cashify eases your job by making available an online platform to sell old Samsung Galaxy S7 Edge at the best price. Why Sell Your Old Samsung Galaxy S7 Edge On Cashify? 3. Now, click on Samsung Galaxy S7 Edge phone and you’ll see an estimated price right away. Simply provide some basic information about your used Samsung Galaxy S7 Edge smartphone and you will see the exact resale value of your smartphone right there. At Cashify, we arrange a free pick-up and provide you with the payment at the address of your choosing.